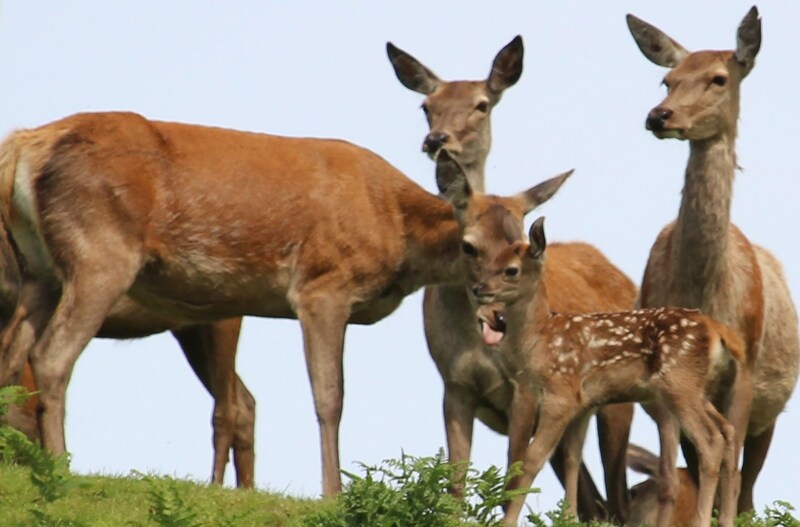 The history of wild deer on the Isle of Wight reflects the neighbouring areas on the mainland coasts of Hampshire & Dorset,with deer populations establishing after the last Ice Age and fluctuating ever since. Wild deer remain comparatively scarce on the Isle of Wight, Red and Muntjac are probably the most common species with the odd Fallow and Roe or Sika occasionally being seen. Deer are sometimes seen swimming across Southampton Water and the Solent to and from the island. Many people will have heard that the Isle of Wight has a “deer free status”, the Forestry Commission have recently clarified what they mean by this:- ” This is of course a relative term which compares the minimal deer numbers on the Isle of Wight with significant populations on the mainland”. Obviously their use of the term “deer free” has been very misleading. There are 6 species of wild deer in the UK, evidence of 5 of which have all been seen on the island in recent years. Red and Roe are native* deer that recolonised England including the land that was to become the Isle of Wight after the last Ice Age, whilst Muntjac, Fallow and Sika are introduced species. 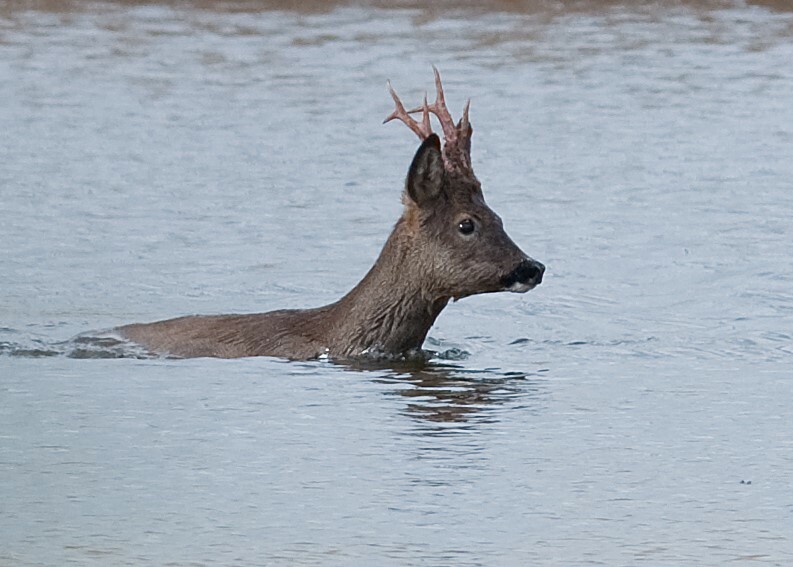 Red deer and Muntjac have been breeding in the wild for some years now and deer are known to swim across the Solent*. The last commercial deer farm on the island closed around the year 2000. Roe and Muntjac are not kept in deer farms at all. A FOI request revealed that the IWC had no evidence to support their claim that there are no naturally occurring deer on the island. The mild climate and geology of the Isle of Wight are the prime reasons for our vegetation being different from many areas of the mainland and was recorded as such hundreds of years ago when wild deer were more abundant on the island. Both historical and archaeological records show that our rich woodlands evolved in the presence of wild deer. 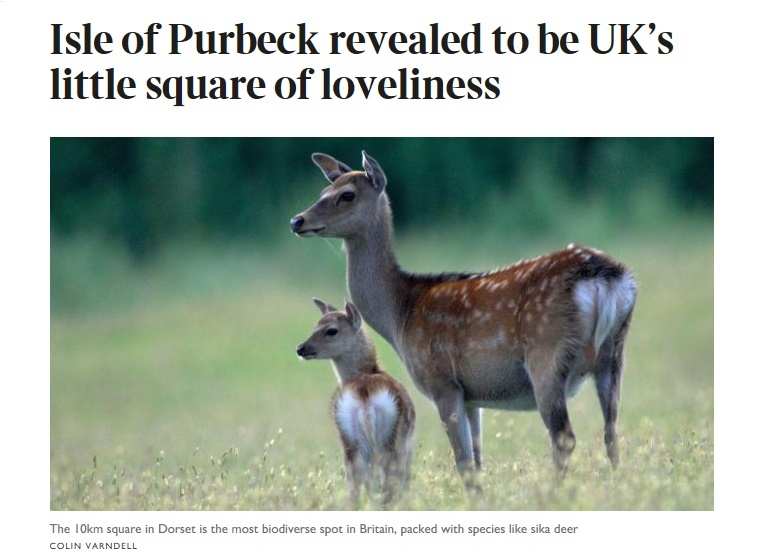 Dorset claims greater floral diversity than the island whilst Hampshire claims to have the most varied biodiversity in the country, both of these counties have strong deer populations. The JNCC report on the status of our wild mammals makes no such claim, in fact Bats in particular benefit from deer grazing woodland pastures and rides which enables the Butterflies and Moths that they feed on to thrive. 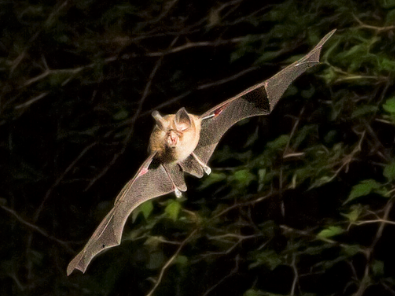 Some Bats also feed on the coprophagous insects found in deer dung. Nightingales breed mostly south of the Severn-Wash line and east from Dorset to Kent. 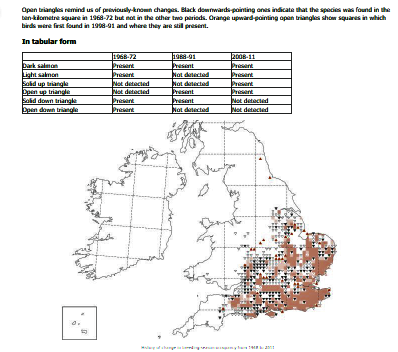 The highest densities are found in the south east: Essex, Suffolk, Norfolk, Kent and Sussex, all these counties have significant populations of wild deer. In common with the mainland Nightingale numbers have declined sharply on the island since the second half of the 20th century. It has been established by scientific research conducted in North America, Great Britain and Europe that woodland biodiversity is at its greatest when deer are present at low density and decreases when deer are either totally absent or at a very high density. Bluetongue is a non-contagious disease of ruminants found in tropical and subtropical areas that rarely occurs elsewhere, it is carried and spread by the Culicoides imicola midge that cannot overwinter in our climate. No deer within the UK have ever been found to be infected with this virus. Whether a deer population has positive or negative environmental impacts is primarily down to deer density, i.e. optimum numbers with neither too few or too many (see What happens when you have too few deer?). Apart from a relatively minor positive contribution from the products of parturition to both vertebrate and invertebrate scavengers there appears to be no environmental significance to whether a deer population is breeding or not. Lyme disease is an infection caused by a group of bacteria called Borrelia burgdorferi which are transmitted to humans following a bite from an infected Sheep tick Ixodes ricinus. Despite its name the Sheep tick will feed from a wide variety of mammals and birds. Bites from other ticks are possible, including the Hedgehog tick , Ixodes hexagonus, and the Fox and Badger tick, Ixodes canisuga. These ticks become infected during their larval and nymphal phases by feeding on the small mammals and birds which harbour the Lyme bacterium. Later in their development the infected nymphs and adults transfer the Lyme bacteria to the animals and people on which they feed. On the Isle of Wight there are over 30,000 Sheep and abundant small mammals and wild birds that can perform the role of a host for the Ixodid ticks and the diseases that they carry. Deer are described as “incompetent hosts” for these Lyme disease causing bacteria and do not transmit the infection back to the ticks. It has been said that the Isle of Wight has a unique rich ground flora due to the absence of deer, but is this really true? This rich ground flora is an undeniable and welcome fact but is it truly unique? How does this relate to deer and what other factors may be involved? I decided to compare and contrast our island with other areas to help determine the truth. The Isle of Man is an offshore island situated roughly in the middle of the Irish Sea. Geologically it is mainly made up of ancient rock from the Ordovician era. With an area of around 221 square miles it is almost 1 1/2 x the size of the Isle of Wight. Wild deer are thought to be absent and it has around 127 ha of Ancient Woodland which was studied by the Manx Wildlife Trust in 2011. Looking closer to home I drew a comparison with the Isle of Purbeck in Dorset. Purbeck is a peninsular of around 156 square miles, slightly larger than the Isle of Wight with which it shares a similar varied geology and a favourably mild maritime climate. Like our island it is home to woodland bats including the rare Bechsteins, and though not numerous, both Dormice and Nightingales are also to be found there. There is a substantial deer population in Purbeck which together with the adjoining Poole basin contains around 3000 – 4000 animals. Woodlands amount to around 710 ha of Semi-Natural Ancient Woodland and 674 ha of Plantations on the site of Ancient Woodlands, some of which has been fenced against deer. Purbeck has many SSSI’s, nature reserves and designated special areas of conservation. 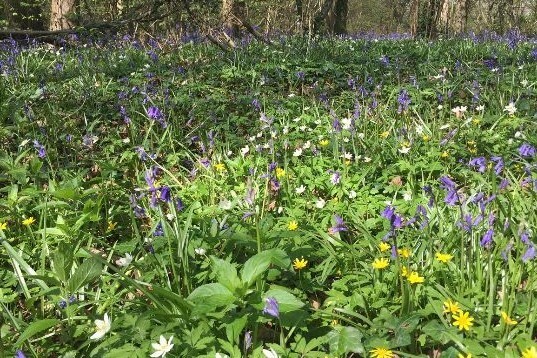 Natural England has commented on the “biological diversity and richness” of the area and claims that Purbeck includes “the 10km2 square with the greatest diversity of plant species in the country”. So what about the Isle of Wight where deer are rare? The island has around 50km2 of woodland, nearly a third of is considered to be Ancient Woodland. Within these woods are to be found relics of wood pasture which have deteriorated due to lack of grazing by creatures such as deer. This has also led to Lichens being threatened by shade cast by vigorous growths of Brambles, whilst competition from aggressive plant species is said to pose the greatest threat to the Wood Calamint, the only native plant unique to the Isle of Wight. It would appear that a mild climate, a southerly latitude, a varied geology and land use, together with the presence of Ancient Woodland are amongst the prime factors influencing floral biodiversity. 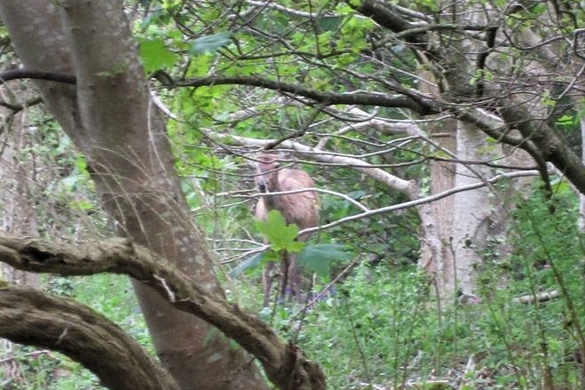 “The absence of certain species such as Deer and Grey Squirrel has a direct benefit for the woodland flora and fauna across the Island ” and some ecologists fear that if wild deer were to be tolerated here they could “cause immense damage” to our woodlands with their “heavy browsing”. 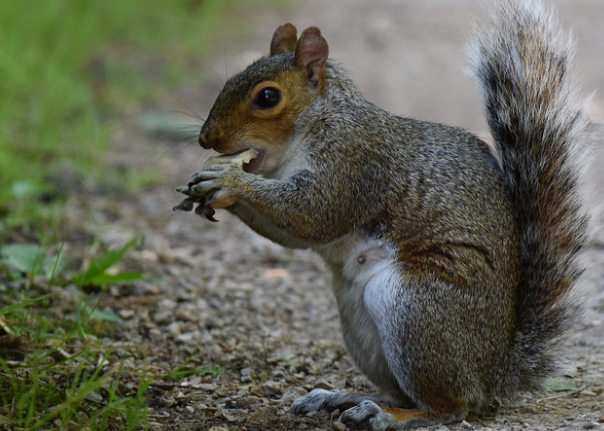 In the case of the Grey Squirrel and large concentrations of Fallow or the invasive non-native Muntjac deer scientific evidence shows that this is indeed the case, but what of the other deer? The Denny Pens study from the New Forest indicates what happens when you have too many deer. 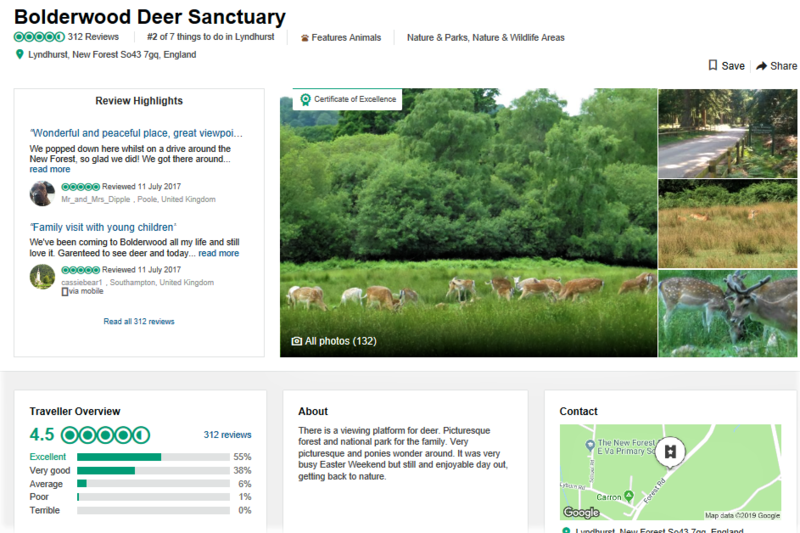 Two enclosures were studied, one control enclosure from which all large herbivores including deer were excluded and another which was artificially stocked with Fallow deer at an extremely high density of 100 / km2. After 22 years most understorey species were absent from the deer enclosure and tree regeneration had ceased. So how does this relate to the Isle of Wight? With around 50km2 of woodland this would require a deer population in excess of 5000 animals or by comparison more than double the deer population of the New Forest where there are currently around 2000 naturally occurring deer spread over an area of around 230km2 of woodland. So is there a level at which a re-established Isle of Wight deer population would be beneficial? Scientific research shows that low density deer populations increase biodiversity, typically at densities of 3/km2 – 7/km2 of woodland sometimes more in the case of the smaller species, with a threshold of adverse impact on seedling regeneration occurring at 14 /km2. In relation to the Isle of Wight this suggests that a beneficial deer capacity would be in the region of 150 – 350 animals and possibly more than 700 deer before they would need to be reduced by a management cull. Are there any other long term benefits for the island’s wildlife? Large herbivore grazing and browsing such as by deer is necessary to prevent wood pasture and wood edge habitats scrubbing over. The advance of this scrub would lead to the loss of flowering woodland plants. Once these flowering species are lost research shows they may be difficult to re-establish. These are important feeding grounds for many of the woodland bat species found on the island and one of our rarest, the Greater Horseshoe, feeds on the coprophagous invertebrates associated with deer dung – perhaps this is why it is so scarce here. 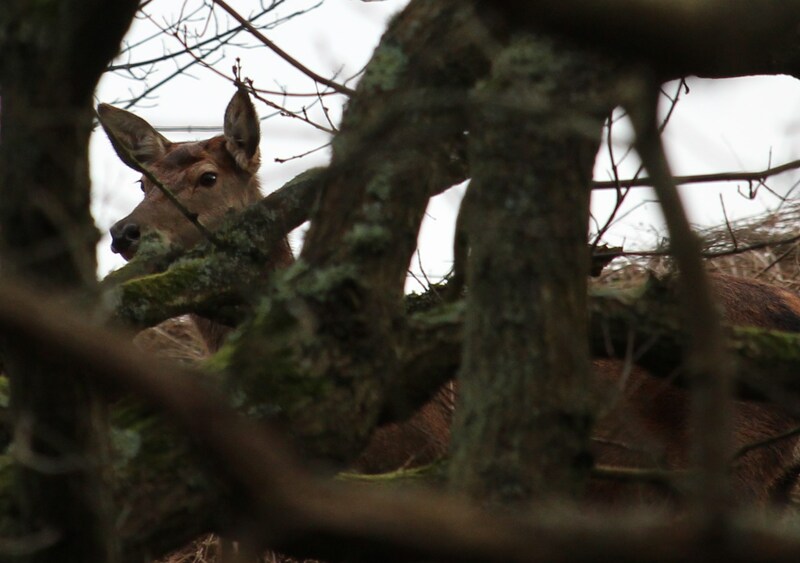 So our woodlands – particularly wood pasture and edge habitats may actually be suffering from the relative absence of deer and not benefiting as some have claimed. Rewilding-What happens when you have too few deer? So how might this manifest itself on the Isle of Wight? Wood pasture contains a diversity of flowering species, and are important feeding grounds for lepidoptera, whilst many of our woodland bats feed on invertebrates found there. One of our rarest, the Greater Horseshoe, benefits from feeding on the beetles found in deer dung. 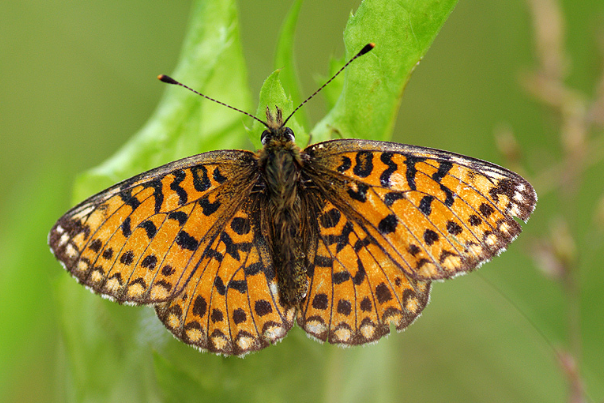 Woodland butterflies such as the very rare Pearl Bordered Fritillary thrives where deer grazing slows down natural regeneration and helps to maintain open areas of Bracken in canopy gaps and along woodland edges. Regrettably the Isle of Wight has recently lost not just its Pearl-Bordered Fritillary but also the Small Pearl-Bordered Fritillary and Duke of Burgundy butterflies as well. One of the lesser known facts about deer is that as well as being very athletic creatures on land they are also strong and able swimmers that will readily take to the water. They are known to naturally disperse and migrate across lakes, strong flowing rivers and arms of the sea. Deer have hollow body hairs which assist buoyancy and have strong hind legs which enable them to swim long distances, up to 10 miles have been claimed from the United States. According to the Wisconsin Department of Natural Resources Whitetail deer, a close relative of our native Roe, can swim at 13 mph, this compares favourably with the Lymington to Yarmouth ferry which struggles to top 9 mph on its 5 mile crossing. Around the coast of the UK Red, Roe, Sika and Muntjac are often seen swimming, whilst paradoxically the marsh dwelling Chinese Water Deer appears to be the species least likely to be seen in the sea. 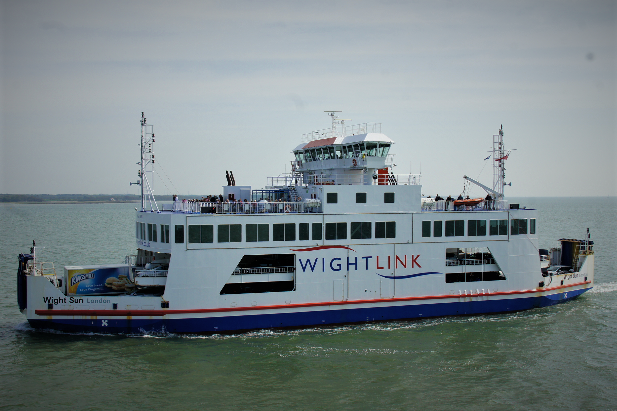 Slow moving Wightlink ferry – Deer can swim faster! The Solent is no exception to this and island status poses no barrier to deer migrating from the mainland to the Isle of Wight. Even as long ago as the 17th century Sir John Oglander recounts the tale of a distinctive red deer stag that swum across to the island whilst being hunted and took up residence on his Rowborough estate. He tells of how this deer used to disappear during the rut only to reappear afterwards and his belief was that it returned to the mainland during this time, this is entirely within what we now know to be the habits of rutting red deer stags. More recently in both the 20th and current century Roe and Muntjac have been photographed swimming in the Solent and their presence has been described by members of the public and conservation groups such as the Hampshire and Isle of Wight Wildlife Trust. 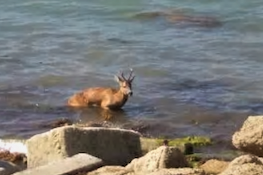 Isle of Wight Deer Conservation are currently conducting a survey of the island’s deer population, including those seen swimming around the Solent and coastal areas. Wild Deer are an Asset! When properly managed there are many positive aspects to the presence of wild deer, these may include public enjoyment, wildlife tourism, stalking and the supply of true wild venison, a healthy and environmentally friendly meat. All this in addition to the environmental benefit that low density deer grazing brings to woodland biodiversity. What sort of value can wild deer bring to rural economies? 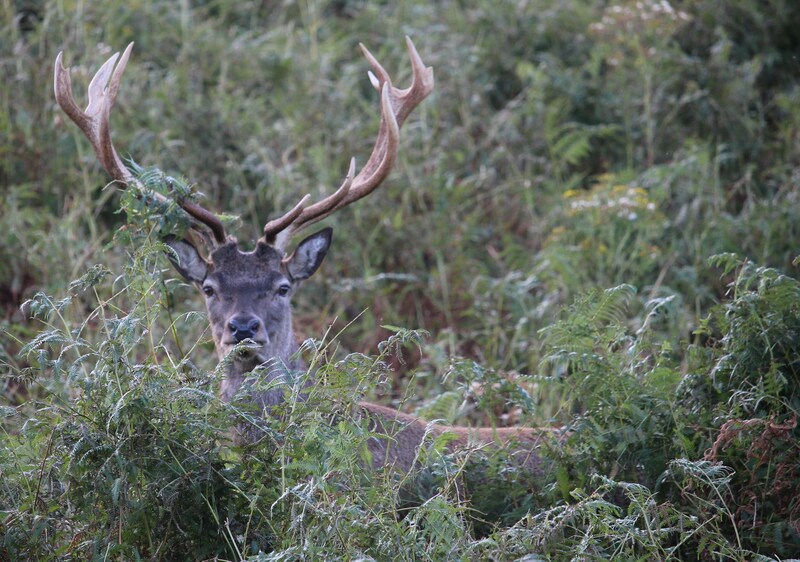 All too often deer are merely thought of in terms of what a land owner might sell stalking rights for, around £ 2.00 – £ 3.00 per acre, sometimes much more – £ 28.00 an acre in the south of England. Or what a carcase might fetch at the game dealers, currently £ 2.25 – £ 3.00 per kg. However their economic worth extends well beyond this. A study from Scotland where there are around 800,000 deer claims that they annually generate around £ 105 million in relation to deer stalking and contribute towards £ 138 million of wildlife tourism. This compares very favourably to the £ 10 thousand cost of deer damage to agriculture there. 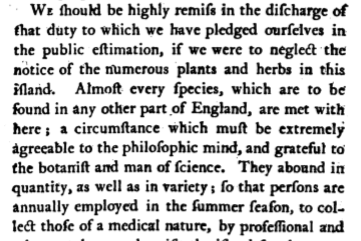 But it is not just Scotland that benefits in this way. 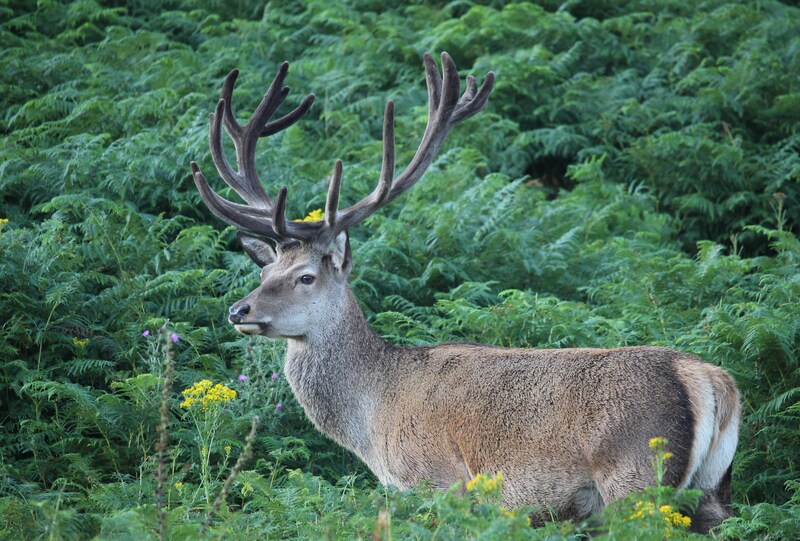 One Exmoor study puts an overall net value on wild deer to the local community at £ 3.2 million per annum, equivalent to £ 1089 per deer with stags the most valuable at £ 3750 per head.. So are there any negative economic impacts? A five year study by Defra “Quantifying the damage wild deer cause to agricultural crops and pastures” (Rutter S.M. and Langbein J. 2005) revealed that many farmers believed that the “damage caused by deer causes significant economic loss”. This research reveals however that “Scientific studies to quantify the actual (rather than perceived) levels of damage, have been either inconclusive or shown that the damage in relatively insignificant.” Exclosure cages were set up in growing crops which variously prevented access by deer and lagomorphs (Hares & Rabbits) and soil fertility was assessed. In common with domestic livestock wild deer may be afflicted by ailments but Defra have stated that “The evidence available so far suggests that deer are unlikely to be a significant source of spread for the main livestock diseases, although the monitoring in deer has been low”. Many mainland areas have problems with DVC’s but these are most prevalent where there are not just high density deer populations but also high volumes of traffic and a high concentration of roads, a good local example of such an area is the M3 – M27 interchange outside Southampton. Fortunately on the Isle of Wight we do not have the requisite high numbers of deer, high traffic volumes and trunk roads or motorways so here at least DVC’s are comparatively insignificant. It would appear that deer related tourism would be a way of adding value to these woodlands, as well as the doubtless benefit that the light grazing of a low density deer population can bring to woodland biodiversity. 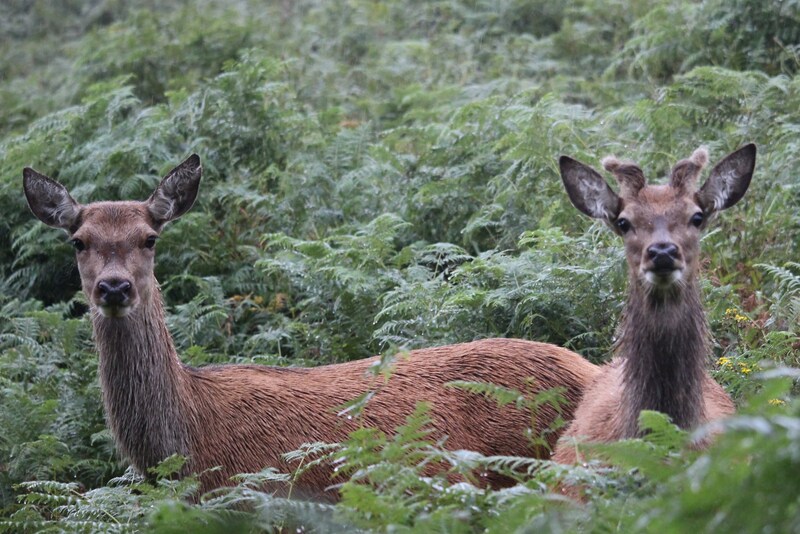 In fact one of the unique things about the Isle of Wight is that it is probably the only place in the south of England where you have the chance of encountering both native Red & Roe deer together with Red squirrels. So what steps need to be taken so that the Isle of Wight can enjoy the rewarding presence of deer? To gain the maximum benefit from the presence of wild deer in our woodlands requires a positive attitude by landowners, managers and public sector organisations like the Forestry Commission. 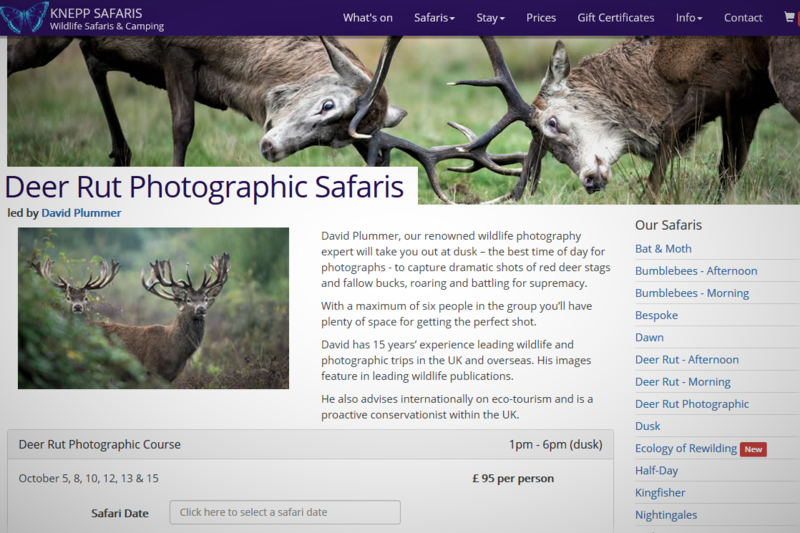 Isle of Wight based tourist organisations also have a role to play in promoting our wonderful wildlife, including the deer. It would be sensible to have a properly conceived “Best Practice” based management plan in place to help to ensure that deer numbers do not become excessive and help to minimise any possible adverse localised impacts such as those on agriculture and to sensitive environments. The economic benefits of wild deer have not been widely researched, however the available evidence suggests that competently managed deer can have a very substantial positive impact on tourist based economies such as the Isle of Wight. 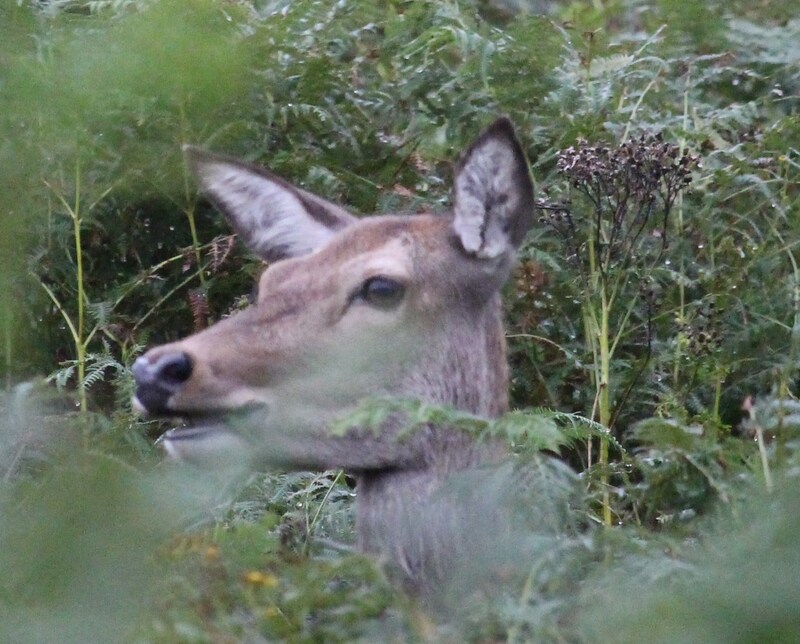 Deer have been re-emerging in the wild on the island since the 1970’s with evidence of both of the native species, Red and Roe, being reported and also the introduced species, Fallow and Muntjac. With good populations of Sika along the northern shores of the western Solent it is unsurprising to see them here too. The presence of deer in the countryside can add greatly to people’s enjoyment of it and the Isle of Wight is no exception to this. 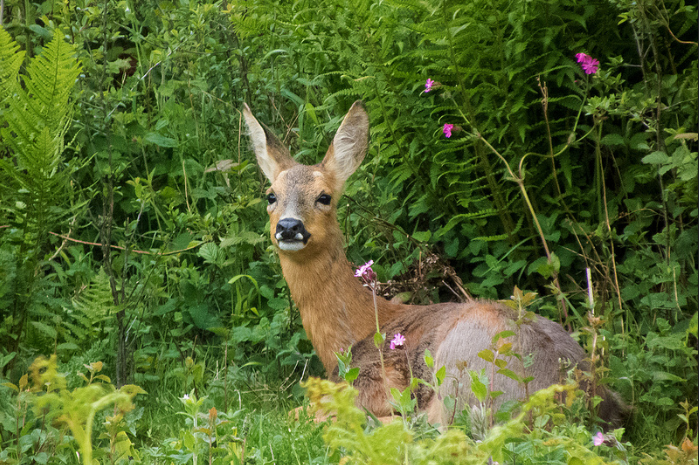 We believe that competently managed wild deer can be a positive asset to the island’s biodiversity and economy. 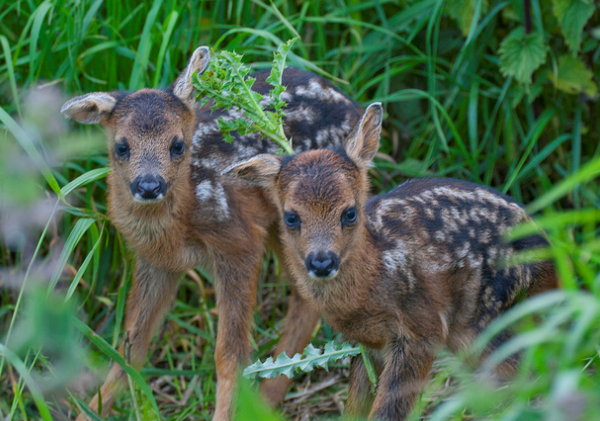 Isle of Wight Deer Conservation was set up in 2015 by a group of qualified deer managers, farmers and landowners interested in maintaining a sustainable population of deer in the wild on the Isle of Wight, managed ethically within the principles of Best Practice. 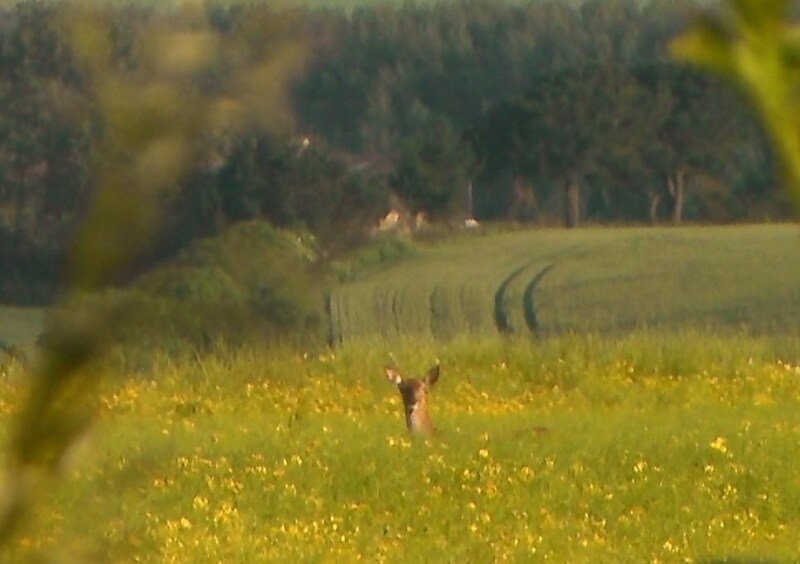 Deer management goes far beyond simply culling animals and it is the aim of our group to record and exchange details of deer sightings, numbers and species, their age range and any resulting impacts that they may be having on agriculture and the environment. With this knowledge based approach to local deer conservation and management it is our intention to assist our supporting landowners in keeping stable populations of deer at the modest densities known to be beneficial and by helping to mitigate any adverse localised deer impacts that may occur to agriculture or sensitive environments.